The online voting service from ElectionsOnline permits displaying different ballots to different voters based on a voter’s profile. Two tools are available to do this called voter groups and special interest groups (SIGs) which may be used either alone, or together to provide the ultimate in flexibility to handle absolutely any situation that comes along. While having two options instead of only one (or three options if we consider the combined use of the two tools to be a third option by itself) means awesome power and flexibility, it also could mean the potential for confusion over which option to use in different circumstances. Hopefully this article will make clear the differences and how to most sensibly use the tools. When deciding which to use, ask yourself these questions. Should a voter, by virtue of being in a particular group, be permitted to see some collection of positions specific to that group? If yes, use voter groups. With voter groups, you create a group and give it a plain-English name, a code, and then associate it with the positions that should be seen by members of that group. That code then needs to be associated with each voter who is a member of that group in order for the system to display the correct positions to that voter. Should a voter, by virtue of belonging to some specialized community of an organization, in addition to the broader organization itself, be permitted to see a position specific to members of that community? If yes, use special interest groups (SIGs). With SIGs, you create and associate a code with a position. That same code is associated with the voters belonging to that group so that when they view the ballot, the SIG position is included. Should a voter, by virtue of being in a particular group, be permitted to see some collection of positions specific to that group, and also some other specific positions by virtue of belonging to a specialized community of the broader organization? If yes, try using a combination of voter groups and special interest groups. By belonging to a voter group, the voter will see the collection of positions associated with that group, and then membership in any specialized community is handled through SIGs. Do you see the pattern? When you wish to associate a fixed collection of positions with a group, use voter groups. When you wish to associate a single position with a group, and voters may potentially belong to a combination of many different groups, use special interest groups. However, the answer is not always as simple and clear as that as we’ll see in the examples below. In fact, there are occasions when either tool could produce the same result. This is when making the decision is as much art as it is a hard rule and in fact, the answer may be influenced mostly by how you wish to report and filter the election results. A ballot contains the following positions. President, Secretary, Treasurer, plus a referendum for a by-law change. Every voter should be permitted to see every position (the referendum is regarded as a position). Do you use voter groups or special interest groups? That’s a trick question. You don’t use either. Because every voter sees every position, there’s no need to do any special configuration using voter groups or special interest groups. A ballot contains the following national-level positions which should be seen by all voters: President, Secretary and Treasurer. However, voters in each state will also have the opportunity to elect a state representative. Do you use voter groups or special interest groups? Special interest groups. When voter groups are not in use, all positions without a SIG code, will display to all voters. That’s what we want to have happen for the national-level positions. The state representative though should only display for voters in their respective state, so associate a state code for each of those positions, make sure that the proper code is then also associated with each voter, and each voter will see all national positions plus their respective state position. While voter groups could be used in this scenario, it would require creating a different voter group for each state, then going through the repetitive process of assigning national-level positions, plus each state’s representative to all the groups. Using SIGs eliminates that and makes for quicker, simpler setup. A ballot contains the following national-level positions which should be seen by all voters: President, Secretary and Treasurer. However, voters in each state will also have the opportunity to elect a state representative. Additionally, some voters have chosen to join voluntary communities (sponsored by the organization conducting the election) relating to their field of professional expertise. Do you use voter groups or special interest groups? Things are getting complex, but we’ll use a combination of voter groups and special interest groups to keep it simple. While this scenario is almost identical to scenario #2, the addition of positions relating to communities changes how we’ll set this up. We’ll use voter groups to display the national- and state-level positions. This will require creating 50 voter groups (one for each state), then assigning all national-level positions to each group, plus the appropriate state-level position. The communities will be handled by assigning a unique SIG code to each. There is a two-part explanation as to why the national- and state-level positions are being handled differently than in scenario #2. First, if the state and community positions were all handled with SIG codes, it’s essentially saying that they are all equivalent to each other. One does not of course join a state in the same way one joins a voluntary community. Intermingling the two, while technically possible, simply doesn’t match an election administrator’s mental model of the relationship those positions have to each other. Secondly, election results may be filtered by voter groups, special interest groups, or a combination of the two. For example, if you wanted to know how voters in Florida who are also members of the taxation community voted, and compare that to any other filtered segment of the electorate, you may. But you may only filter by one special interest group at a time, so if states and communities were both treated as SIGs, it would preclude filtering by Florida plus the taxation community. When you take the time to split the two apart, and treat Florida as a voter group, it permits filtering the results on both the Florida voter group and the taxation SIG at the same time. Can a voter belong to multiple voter groups? No, a voter may belong to only a single voter group. Can a voter belong to multiple special interest groups (SIGs)? Yes, there is no limit to the number of SIGs a voter may belong to, but you will need to provide each position’s SIG code for the voter as a comma-delimited string. For example, when a ballot has a position with the SIG code taxation associated with it, and another position with the SIG code government associated with it, a voter who belongs to both groups would have a SIG code of taxation,government which ensures the two associated positions are included on the ballot for that voter. Can a position have multiple special interest group (SIG) codes associated with it? No, a position may have only a single SIG code associated with it. Can a ballot where some positions are placed into voter groups contain other positions which are neither in a Special Interest Group, nor a voter group? Yes, and any voter not in a voter group would see these ungrouped positions. However, while the system allows this, it is generally not a good practice because typically a voter roster with voters assigned to voter groups would not leave any voter unassigned to a group. When voter groups are used, it is typically to segment voters in ways that not only support displaying different positions to different voters, but also to support filtering the results by different segments of voters. 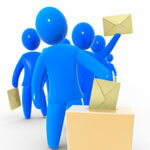 For segmentation to be effective, each voter needs to be placed in a voter group. That in turn means that each position not assigned a SIG code needs to be assigned to at least one of those voter groups. When in doubt, ask ElectionsOnline for advice. Can a position belong to different voter groups? Yes. In a case where a ballot permits voting on some national-level position(s) and also region-level position(s), you may find that creating region-specific voter groups, each of which also includes the national-level positions, works best.